“Think globally, act locally" the motto of Dr. Patterson, a distinguished alumni professor of Crop Science from NC State University for over 50 years. Dr. Patterson earned his bachelor and master’s degree from North Carolina State University (NCSU) in soil sciences, and a Ph.D. from Cornell University in agronomy. With over 66 research and teaching awards, Dr. Patterson is a favorite among undergraduate and graduate students; he has won the Agricultural Institute Club’s Outstanding Faculty Award seven times. Patterson is undoubtedly passionate about global health, and his work in crop sciences has taken him around the world, from farms in Peru, Nepal, and Ethiopia (to name a few), to universities in Moldova, Berlin, and the Czech Republic; collaborating with organizations like The World Bank, FAO, Heifer Project International, Technoserve, and US/AID. As enthusiastic as he is about the environment, particularly its soil, he is even more passionate as an educator. Dr. Patterson met Katie Baric, cofounder of Hands on Peru, in 2014, when she took his course “World Population and Food Prospects” at NC State. Since then, he has been a great mentor and significant supporter of her work with Hands on Peru and is excited to join as an official member of the Board of Directors in October 2018. 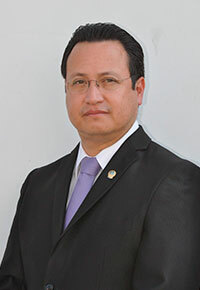 Dr. José Cabrejo is the “padrino”, or godfather, of CESAPU. He met co-founders Katie Baric and Rosa Sanchez in 2016 and was inspired by their passion to change the face of healthcare in Peru to one that focuses more on prevention. As the coordinator of Family and Community Medical Residents of the Universidad Nacional de Trujillo, he immediately sent his medical residents to rotate in CESAPU as a show of his great support for this project, and continues until this day to remain involved with his residents, expertise and experience. His qualifications include: Registered and certified doctor. Specialist in Family and Community Medicine. Specialist in Medical Audit. Doctor in Public Management, Doctor of Medicine and Master in Public Health with a minor in Planning and Management. Associate Professor of the Department of Preventive Medicine and Public Health of the National University of Trujillo. General Coordinator of the Family and Community Medicine Resident FMUNT. Director of the Postgraduate Unit in Medical Sciences UNT. 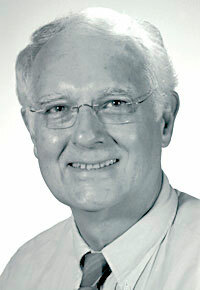 Postgraduate Professor of Public Health at the National University of Trujillo and other universities. Member of the National Directory of Researchers CONCYTEC. President of the SOPEMFYC North Branch. Representative of the Peruvian Academy of Health North Region. President of the Peruvian Society of Doctors and Sub-Coordinator of the Peruvian Bioethics Network -UNESCO. 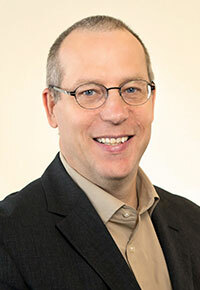 Eric received his medical degree and Masters of Public Health from the University of Pittsburgh in 1997 and completed his training in family practice in 2000 at the University of Washington in Seattle, Washington. He came to Neighborhood Family Practice, a Community Health Center to fulfill his service commitment with the National Health Service Corps. Dr. Kauffman has made his career at Neighborhood Family Practice and was appointed the Chief Medical Officer in 2013. Under his leadership, the health center has grown in both size and scope and presently serves over 22,000 patients at 6 offices. NFP strives to provide a comprehensive primary care experience for its patients and in the past 5 years added a dental clinic, a pharmacy, lactation services and Medically Assisted Treatment (maintenance treatment for Opioid addiction). NFP has a large Behavioral Health department including adult and child psychiatry. NFP has a growing midwifery service that is integrated with our family practice care and lactation team. NFP also performs health screening for newly arriving refugees and cares for a growing population of refugees from around the world. NFP is proud of the quality and breadth of services that it provides to all patients regardless of their insurance or economic status. Dr. Kauffman met Hands on Peru Founder Rosa Sanchez during her study in Cleveland as part of a US State-sponsored Exchange Program for young leaders of Latin America and the Caribbean. He is honored to be a board member and adviser to HOP and excited to help advance the mission of community development through the improvement of public health and education.